Dr. Chakrabarti is a skilled kidney and pancreas transplant surgeon who performs laparoscopic nephrectomies and has extensive experience in guided allograft biopsies, organ procurement, preservation and management of rejection, and post-transplant diseases, as well as dialysis access procedures. 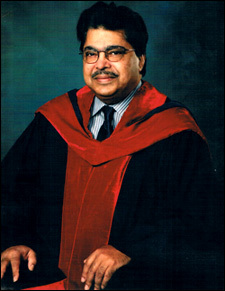 He earned his medical degree at the University of Calcutta and completed a general surgery residency at Prince Charles Hospital, Wales, where he was certified as a Fellow of the Royal College of Surgeons. He completed a renal/pancreatic transplantation fellowship at the University of Pittsburgh(USA) and then joined the faculty there as an attending consultant surgeon and instructor in surgery. First Prize - Harry M. Spence MD, Memorial Essay Contest, Texas Urological Society, Arlington, Texas, June 8th 1996. Pharmacokinetics of Delta-Aminolevulinic acid (ALA) and intracellular mechanism of injury of ALA-mediated photodynamic therapy (PDT) in prostate cancer cell lines. Chakrabarti P, Orihuela E, Motamedi M, Neal DE Jr., Egger N, Adesokun A, Warren M. Galveston, TX. (Presented by Pradip Chakrabarti). Travel Award - Society of Basic Urologic Research, Fall Symposium, Pacific Grove, California, 12th-15th December, 1996. Delta-Aminolevulinic acid (ALA) mediated production of protoporphyrin IX in prostate cell lines: Implication of photodynamic therapy. Chakrabarti P, Orihuela E, Neal DE Jr., Egger N, Salas N, Adesokun A, Motamedi M. Galveston, TX. (Presented by Pradip Chakrabarti). Certificate - One of the Best Doctors of America 2009-2010, Best Doctors, Boston, USA. 91st annual meeting of the American Urological Association - Orlando, May 4-9, 1996. High power directional diffusing fiber tip for rapid, uniform and deep photocoagulation of prostate. XIVth Annual Houston Conference on Biomedical Engineering Research - Houston, February 8-9, 1996. Prostate response to photodynamic therapy. 92nd annual meeting of the American Urological Association - New Orleans, April 12-19, 1997. Reduction of prostatic blood flow by finastride. 75th Annual meeting of the South Central Section of the American Urological Association - Vail, Colorado, September 7-11, 1996. Application of Delta-Aminolevulinic acid as a photosensitizer for the photodynamic therapy of prostate cancer (LNCaP and PC-3) cell lines. The Annual Meeting of SPIE (International Society for Optical Engineers) - San Jose, January 27 - February 2, 1996. Transurethral fiber optics for in vivo optical property determination. 45th Annual Scientific Program of the Singleton Surgical Society - Galveston, Texas, April 12-13, 1996. Pharmacokinetics and intracellular mechanism of injury of Delta-aminolevulinic acidmediated photodynamic therapy in prostate cancer cell lines. XXIII Congreso de la Confederacion Americana de Urologia - Santiago de Chile, Chile, September 28-October 2, 1996. Source of PSA after cryotherapy of prostate cancer. American Surgical Association Annual Meeting, San Francisco, April 1999. Simultaneous administration of adjuvant donor bone marrow in pancreas transplant recipients. American Society of Transplantation/American Society of Transplant Surgeons, Chicago May 1999. Results of Pancreas Transplantation following steroid withdrawal under FK506 based immunosuppression. American Society of Transplantation/American Society of Transplant Surgeons, Chicago May 1999. Association of bacterial and fungal infections with surgical complications in pancreas transplant recipients. World Congress of International Pancreas and Islet Transplant Association, Sydney, Australia August 22-25, 1999. Outcome with mycophenolate mofetil (MMF) versus azathioprine (AZA) in pancreas transplantation under tacrolimus based immunosuppression. World Congress of International Pancreas and Islet Transplant Association, Sydney, Australia August 22-25, 1999. Outcome of enteric drainage (ED) versus bladder drainage (BD) in simultaneous pancreas-kidney transplantation. World Congress of International Pancreas and Islet Transplant Association, Sydney, Australia August 22-25, 1999. Renal allograft rejection with normal renal function in simultaneous kidney/pancreas recipients - does dissynchronous rejection really exist? Annual Meeting of the American Urological Association, Dallas, Texas, May 1-6, 1999. Dendritic cells inhibit the allograft response. American Society of Transplantation/American Society of Transplant Surgeons, Chicago May 2000. Surgical complications of enteric (ED) versus bladder (BD) drainage in pancreas transplantation. The Transplantation Society Conference, Rome, August 28th 2000. Surgical complications of enteric (ED) versus bladder (BD) drainage in pancreas transplantation. The Transplantation Society Conference, Rome, August 28th 2000. Outcome after steroid withdrawal in adult renal transplant patients receiving tacrolimus-based immunosuppression. The Transplantation Society Conference, Rome, August 28th 2000. Results of pancreas transplantation following steroid withdrawal under tacrolimus-based immunosuppression. American Society of Transplantation/American Society of Transplant Surgeons, Chicago May 2001. Significance of elevated serum lipase as an indicator of rejection in pancreas transplantation. American Society of Transplantation/American Society of Transplant Surgeons, Chicago May 2001. Use of rapamycin in pancreatic transplantation under tacrolimus based immunosuppression. American Transplant Congress, San Francisco, May 2007. Deceased donor kidney transplantation without a prospective crossmatch (xmatch) in non-sensitized recipients. International College of Surgeons, 41st North American Federation Congress, Montreal, Canada, May 2009. Surgical Techniques in Pancreas Transplantation. American Society of Histocompatibility and Immunogenetics (ASHI), San Francisco, Nov 2009.Thymoglobulin induction therapy: Depletion levels of CD2/CD3 cells as a predictor of long term renal transplantation function. MBBS, University of Calcutta, India, March 1980. PLAB, General Medical Council, London, UK, October 1988. FRCS (Fellow, Royal College of Surgeons) Edinburgh, UK, October 1992. ECFMG US Medical Licensure Examination (steps I & II) full certification 1993. 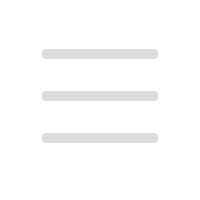 FLEX (Federal Licensing Examination) State Board of Medicine, Pennsylvania, USA 1993. 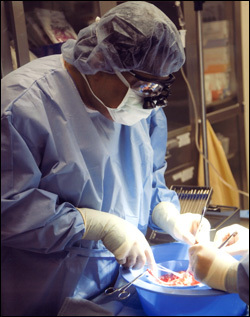 Fellowship, Transplantation Surgery, University of Pittsburgh, USA, June 1999. ASTS (American Society of Transplant Surgeons) certified May 1999. FICS (Fellow, International College of Surgeons), Montreal, Canada, May 2008. FACS (Fellow, American College of Surgeons), Chicago, USA, October 2008. MBBS : University of Calcutta, Calcutta, India, 1980. 1980 - 1985 : Calcutta National Medical College Hospital and Institute of Post-Graduate Medical Education and Research, SSKM Hospital, University of Calcutta, Calcutta, India. 1985 - 1988 : Royal College of Surgeons (London), Kings College (London) Royal College of Surgeons (Edinburgh) Courses in Surgery (Clinical and Basic Sciences) / Clinical Clerkships. 1995 - 1997 : University of Texas, Medical Branch, Galveston, TX., USA. Clinical Fellow, Division of Transplantation. Consultant Surgeon, Division of Transplantation, Transplant Centre of Lehigh Valley, PA, USA. Clinical Assistant Professor of Surgery, Penn State University, College of Medicine, PA, USA. Corry RJ, Chakrabarti P, Shapiro R, Rao AS, Dvorchik I, Jordan ML, Scantlebury V, Vivas C, Fung JJ, Starzl TE. Simultaneous administration of adjuvant donor bone marrow in pancreas transplant recipients. Ann Surg, 230 (3): 372-81, 1999. Chakrabarti P, Wong HY, Scantlebury VP, Jordan ML, Vivas C, Ellis D, Lombardozzi-Lane S, Hakala TR, Fung JJ, Simmons RL, Starzl TE, Shapiro R. Outcome after steroid withdrawal in pediatric renal transplant patients receiving tacrolimus-based immunosuppression. Transplantation, 70 (5): 760-64, 2000. Jordan ML, Chakrabarti P, Luke P, Shapiro R, Vivas C, Scantlebury VP, Fung JJ, Starzl TE, Corry RJ. Results of pancreas transplantation following steroid withdrawal under tacrolimus immunosuppression. Transplantation, 69(2): 265-271, 2000. Shapiro R, Jordan ML, Scantlebury VP, Vivas CA, McCauley J, Egidi MF, Randhawa P, Chakrabarti P, Corry RJ. Renal allograft rejection with normal renal function in simultaneous kidney/pancreas recipients - does dissynchronous rejection really exist? Transplantation, 69(3): 440-01, 2000. Chakrabarti P, Orihuela E, Egger N, Neal DE Jr., Gangula R, Adesokun A, Motamedi M. Delta-aminolevulinic acid-mediated photosensitization of prostate cell lines: Implication for photodynamic therapy of prostate cancer. Prostate, 36(4): 211-18, 1998. Protsenko D, Torres JH, Chakrabarti P, Bell B, Orihuela E, Motamedi M. Optical characterization and coagulation performance of side emitting fiber delivery systems for laser therapy of BPH: A comparative study. Urology, 47(6): 845-51, 1996. Kim Beop-Min, Ostermeyer M, Jacques SL, Levy DA, Chakrabarti P, Torres JH, vonEschendach AC, Rastegar S, Motamedi M. Transurethral fiber optics for in vivo optical property determination. Proc SPIE 2681, Laser-Tissue interaction VII, San Jose 1996. P. Chakrabarti, R. Shapiro, M.L. Jordan, V.P. Scantlebury, C. Vivas, R.J. Corry. Surgical Complications of Enteric (ED) versus Bladder (BD) Drainage in Pancreas Transplantation. Transplantation Proceedings, 33(1-2): 1647-1651, 2000. Pradip Chakrabarti, Hsien Y Wong, Atsushi Toyofuku, Velma P. Scantlebury, Mark L Jordan, Carlos Vivas, Thomas Hakala, Richard Simmons, Thomas E Starzl, Ron Shapiro. Outcome after steroid withdrawal in adult renal transplant patients receiving tacrolimus-based immunosuppression. Transplantation Proceedings, 33(1-2): 1235-1236, 2000. Agarwala S, Culligan E, Jain A, McCauley J, Shapiro R, Chakrabarti P, Burckart G. Evaluation of renal function in transplant patients on chronic tacrolimus therapy. J Clinical Pharmacology, 42: 798-805, 2002. Luke PP, Herz DB, Bellinger MF, Chakrabarti P, Vivas CA, Scantlebury VP, Hakala TR, Jevnikar AM, Jain A, Shapiro R, Jordan ML. Long-term results of pediatric renal transplantation into a dysfunctional lower urinary tract. Transplantation 76(11) pp 1578-82. 91st annual meeting of the American Urological Association - Orlando, May 4-9, 1996. Torres JH, Chakrabarti P, Pow-Sang M, Orihuela E, Motamedi M. High power directional diffusing fiber tip for rapid, uniform and deep photocoagulation of prostate. J Urol 155: 705A, 1996. XIVth Annual Houston Conference on Biomedical Engineering Research - Houston, February 8-9, 1996. Motamedi M, Jacques SL, Chakrabarti P, Orihuela E. Prostate response to photodynamic therapy. Pp. 166. 92nd annual meeting of the American Urological Association - New Orleans, April 12-19, 1997. Chakrabarti P, Salas N, Herbert FB, Bender T, Gangula R, Motamedi M, Neal DE Jr. Reduction of prostatic blood flow by finastride. J Urol 157: 738A, 1997. 75th Annual meeting of the South Central Section of the American Urological Association - Vail, Colorado, September 7-11, 1996. Application of Delta-Aminolevulinic acid as a photosensitizer for the photodynamic therapy of prostate cancer (LNCaP and PC-3) cell lines. Pradip Chakrabarti, Eduardo Orihuela, Massoud Motamedi, Durwood E. Neal Jr., Norman Egger, Adekunle Adesokun, Michael Warren. 75th Annual meeting of the South Central Section of the American Urological Association - Vail, Colorado, September 7-11, 1996. Mechanism of injury of photodynamic therapy in the canine prostate: A histopathological and electron microscopic study. Pradip Chakrabarti, Eduardo Orihuela, Massoud Motamedi, Adekunle Adesokun, Daniel Cowan, Michael Warren. The Annual Meeting of SPIE (International Society for Optical Engineers) - San Jose, January 27 - February 2, 1996. Beop-Min Kim, Ostermeyer M, Jacques SL, Levy DA, Chakrabarti P, Torres JH, Rastegar S, vonEschenbach AC, Motamedi M. Transurethral fiber optics for in vivo optical property determination. 45th Annual Scientific Program of the Singleton Surgical Society - Galveston, Texas, April 12-13, 1996. Pharmacokinetics and intracellular mechanism of injury of Delta-aminolevulinic acidmediated photodynamic therapy in prostate cancer cell lines. P Chakrabarti, E Orihuela, M Motamedi, DE Neal JR, N Egger, A Adesokun, M Warren. XXIII Congreso de la Confederacion Americana de Urologia - Santiago de Chile, Chile, September 28-October 2, 1996. Source of PSA after cryotherapy of prostate cancer. E Orihuela, P Chakrabarti, S Elfar, D E Neal Jr., E vanSonnenberg and M Warren. Outcome after steroid withdrawal in pediatric renal transplant patients receiving tacrolimus-based immunosuppression. Pradip Chakrabarti, Hsien Y Wong, Velma Scantlebury, Mark Jordan, Carlos Vivas, Demetrius Ellis, Susan Lombardozzi-Lane, Thomas R Hakala, John J Fung, Richard L Simmons, Thomas E Starzl, Ron Shapiro. Thomas E Starzl Transplantation Institute, University of Pittsburgh (USA). Transplantation 1999; 67 (7): S 230. Results of Pancreas Transplantation following steroid withdrawal under FK506 based immunosuppression. Mark Jordan, Patrick Luke, Pradip Chakrabarti, Ron Shapiro, Velma Scantlebury, Carlos Vivas, Robert J Corry. Thomas E Starzl Transplantation Institute, University of Pittsburgh (USA). Transplantation 1999; 67 (9): S 567. Association of bacterial and fungal infections with surgical complications in pancreas transplant recipients. Shimon Kusne, Pradip Chakrabarti, Mohammad Akhavan-Heidari, Robert J Corry. Transplantation 1999; 67 (7): S 174. Outcome with mycophenolate mofetil (MMF) versus azathioprine (AZA) in pancreas transplantation under tacrolimus based immunosuppression. P Chakrabarti, R Shapiro, ML Jordan, V Scantlebury, C Vivas, RJ Corry. Pittsburgh, PA. USA. Pp. 140. Outcome of enteric drainage (ED) versus bladder drainage (BD) in simultaneous pancreas-kidney transplantation. Jeffrey Rogers, Pradip Chakrabarti, Ron Shapiro, Mark L Jordan, Velma P Scantlebury, Carlos A Vivas, Robert J Corry. Pittsburgh, PA. USA. Pp. 56. Renal allograft rejection with normal renal function in simultaneous kidney/pancreas recipients - does dissynchronous rejection really exist? Ron Shapiro MD, Mark L Jordan MD, Velma P Scantlebury MD, Carlos Vivas MD, Jerry McCauley MD, Francesca Egidi MD, Parmjeet Randhawa MD, Pradip Chakrabarti MD, Robert J. Corry MD. Pittsburgh, PA, USA. Pp. 93. Dendritic cells inhibit the allograft response. Sheamus Teahan, Pradip Chakrabarti, Jane Mayotte, Rose Marie Hoffmann, Angus Thomson, Lina Lu, Mark Jordan. Thomas E Starzl Transplantation Institute, University of Pittsburgh (USA). J Urol 161(4): 373A, 1999. Surgical complications of enteric (ED) versus bladder (BD) drainage in pancreas transplantation. Eldo E. Frezza, Pradip Chakrabarti, Ron Shapiro, Mark L. Jordan, Velma P. Scantlebury, Carlos A. Vivas, Robert J. Corry. Transplantation 2000; 69(8): S213. Outcome after steroid withdrawal in adult renal transplant patients receiving tacrolimus-based immunosuppression. Pradip Chakrabarti, Hsien YWong, Atsushi Toyofuku, Velma P. Scantlebury, Mark L. Jordan, Carlos Vivas, Thomas Hakala, Richard Simmons, Thomas E Starzl, Ron Shapiro. Transplantation 2000; 69(8): S224. Surgical complications of enteric (ED) versus bladder (BD) drainage in pancreas transplantation. P. Chakrabarti, R. Shapiro, M.L. Jordan, V.P. Scantlebury, C. Vivas, R.J. Corry. Pp. 7. Outcome after steroid withdrawal in adult renal transplant patients receiving tacrolimus-based immunosuppression. Pradip Chakrabarti, Hsien Y Wong, Atsushi Toyofuku, Velma P. Scantlebury, Mark L Jordan, Carlos Vivas, Thomas Hakala, Richard Simmons, Thomas E Starzl, Ron Shapiro. Pp. 332. Dendritic cells inhibit the allograft response. PPW Luke, S Teahan, SM Specht, P Chakrabarti, J Mayotte, R Hoffman, AW Thompson, L Lu, ML Jordan. Pp. 250. Results of pancreas transplantation following steroid withdrawal under tacrolimus-based immunosuppression. ML Jordan, P Chakrabarti, PPW Luke, R Shapiro, CA Vivas, VP Scantlebury, TR Hakala, S Fedorek, RJ Corry. Pp. 54. Significance of elevated serum lipase as an indicator of rejection in pancreas transplantation. Pradip K. Chakrabarti, Amitabh Gautam, Ron Shapiro, Shigetaka Inoue, Robert J. Corry. Transplantation 2001; 71 (9): Abstract #1157. Impact of cold ischemia time on allograft survival, function and surgical complications following pancreas transplantation. Pradip K. Chakrabarti, Amitabh Gautam, Ron Shapiro, Robert J. Corry. Transplantation 2001; 71 (9): Abstract #1158. Use of rapamycin in pancreatic transplantation under tacrolimus based immunosuppression. Ashok B. Jain, Velma P. Scantlebury, Victor Garrido, Pradip Chakrabarti, Ron Shapiro, Robert J. Corry. Transplantation 2001; 71 (9): Abstract #309. Deceased donor kidney transplantation without a prospective crossmatch (xmatch) in non-sensitized recipients. Pradip Chakrabarti, Bala Carver, Marjorie Williams, Michael Moritz. Am J Trans 2007, (Supl 2). 7, 158; Abstract # 45. Thymoglobulin induction therapy: Depletion levels of CD2/CD3 cells as a predictor of long term renal transplantation function. Robert Cirocco, PhD1, Tricia Kimbel1, Marj Williams1, Sonja Handwerk, RN1, Predip Chakrabarti,MD1 , Michael Moritz, MD. Am Soc Histocompatibility and Immunogenetics (ASHI) Abstracts presentation, Nov 2009, San Francisco, USA. Virtual crossmatching effectiveness is dependent on all the anti-HLA specificities included. Cirocco,R., Kimble, T, Wetmore,M, Mendiolina,J, Disante,K, Gilbert,K, Hartzel, D, Chakrabarti, P and Michale Moritz, Human Immunology, Vol 70 ,sup 1,#P-6, pp14, Oct 2009. Surgical Technology International. V ; Scabo Z, Lewis JE, Fantini GA, Savalgi RS(Eds.) Universal Medical Press Inc, San Francisco CA 94115, 1996. Orihuela E, Chakrabarti P, and Motamedi M. Laser Irradiation for the Treatment of Benign Prostatic Hyperplasia. pp 203-208. Clinical Transplants 1999; Cecka JM, Terasaki PI (Eds). UCLA Immunogenetics Center, Los Angeles, California. Ron Shapiro, Mark L. Jordan, Velma P. Scantlebury, Carlos A.Vivas, Ashok Jain, Pradip Chakrabarti, Jerry McCauley, James Johnston, Parmjeet Randhawa, Abdul Rao, John J. Fung, Robert J. Corry. Simultaneous pancreas-kidney transplantation at the University of Pittsburgh (USA). pp 217-221. State Medical Council, Calcutta, India, # 38310. General Medical Council, London, UK # 4682505. State Board of Medicine, Pennsylvania, USA MD-071549-L.